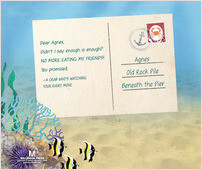 Agnes has a beak that can crush bones and arms and stretch wide as a car—but that doesn’t make her a monster! 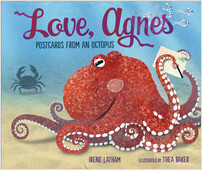 After she comes across a postcard, Agnes, a giant Pacific octopus, strikes up a correspondence with various other creatures below—and above—the waves. 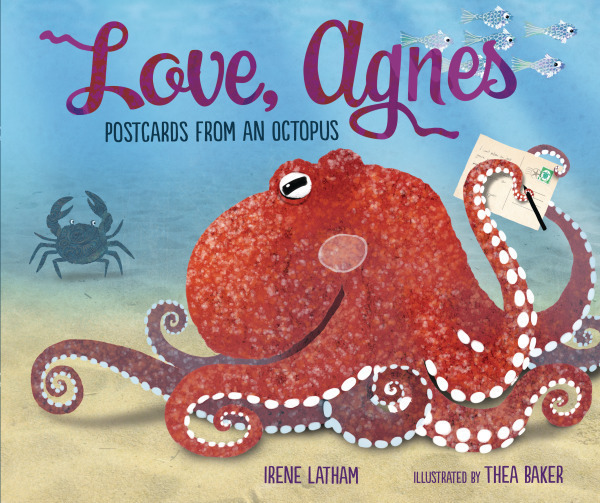 Readers will delight in this unlikely introduction to the octopus life cycle. Thea Baker is an award-winning children's book illustrator from Somerset, England. 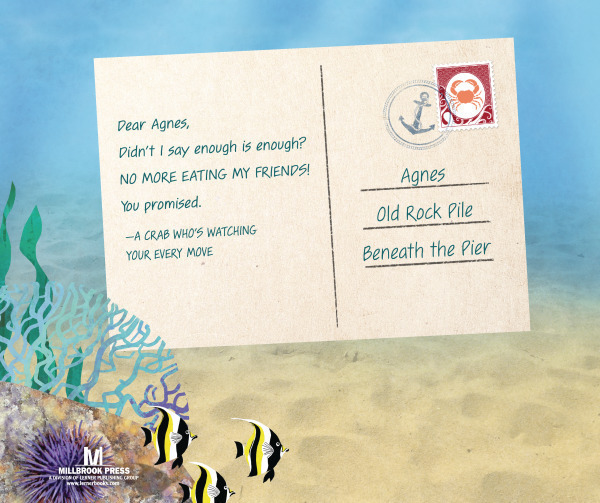 She currently lives in Australia, where she encounters many a mollusk along the beautiful coastline. Although fascinated by ocean life and a keen snorkeler, when it comes to deep water, she prefers to make observations by boat. Find her online at www.theabaker.com.